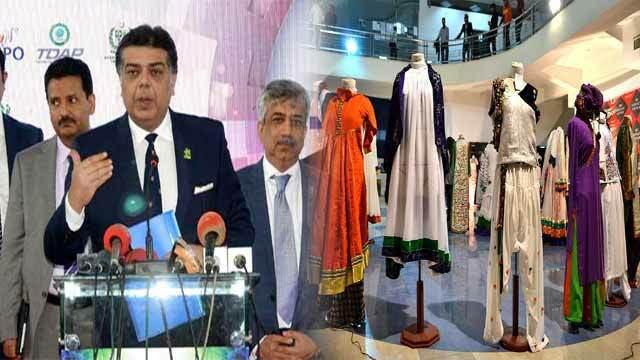 Pakistan’s biggest textile exhibition at government level, TEXPO-2019, has not only proved instrumental in further highlighting Pakistan’s soft image to the world but also attracted initially 600 million dollars trade through export orders by foreign buyers, Secretary Commerce Ahmed Nawaz Sukhera said. Talking to the media at the end of four-day 2nd Edition of TEXPO in Lahore today, he said 363 foreign buyers from more than 50 countries participated in the TEXPO-2019 and placed their orders. “More than 5,000 business-to-business (B2B) meetings were also held on the sidelines of TEXPO-2019, which will definitely help boost country’s textile and its related exports,” he added. He said foreign buyers also inked 10 memorandums of understanding with local export houses, besides visiting field and industrial units in Lahore, Sialkot and Faisalabad. The secretary said that delegations from various countries including Russia, Bahrain, USA, China, Japan, UK, Germany, Saudi Arabia, Czechoslovakia, Nigeria, France, Netherlands and Spain actively took part in the TEXPO. The TEXPO-2019 also featured a Trade Envoys’ Conference on the last day where the stakeholders from trade and industry and the government exchanged their opinions. The TDAP also organised a two-day seminar, attended by leading exporters from various sectors.